That's really beautiful. 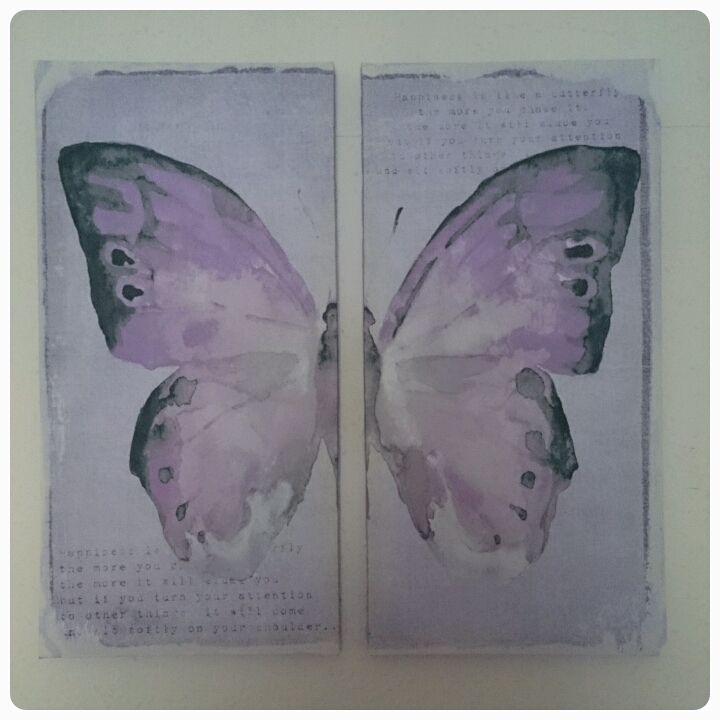 I can't work out if it's a pair of cards or a pair of canvases? That's really pretty, love the colours! how beautiful. what a gorgeous butterfly.